Agricultural production is the engine of our very survival, however today more than ever it is facing countless challenges, on a number of fronts. Not least climate change and the growing frequency of extreme weather phenomena, from excessive rainfall to drought, with lethal consequences for crops. It is also grappling with soil impoverishment due to excessive exploitation (after all, the world population is rising incessantly), which undermines quality. Then of course we have unsustainable agricultural practices, meaning that farmers are pursuing increasingly less environmentally friendly crop production processes. Any attempts to buck these worrying trends will require unprecedented amounts of effort on our behalf. Technology is on our side, however, and satellite monitoring appears to be one of our most promising allies. Single farmers can get a bird’s eye view of their crops with drones, small unmanned airborne vehicles which can be used to monitor plant health or soil integrity via a series of video camera eyes. However, in the case of larger plots of land, or even entire regions, or if more in-depth data is required, we can always count on satellites. These technologically advanced probes can be launched into orbit around our planet to constantly monitor the Earth’s surface and in some cases, at high frequencies. 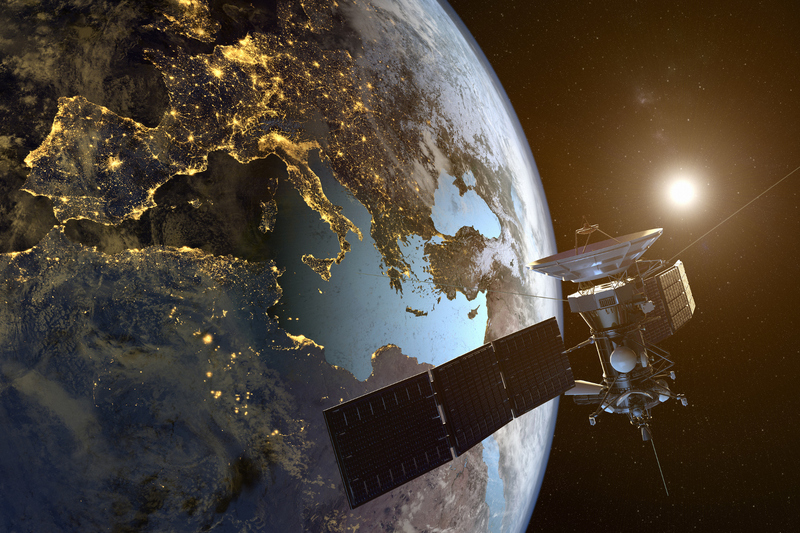 This is the case of the satellite constellation Sentinel of the European Space Agency, which has populated the orbit since 2014 and is set to increase to a total of 20 members by 2030. It is dedicated to studying the atmosphere, climate, water and land, as part of the scientific mission Copernicus. Some of these satellites can even fly over the same areas of our Planet every five days, fulfilling especially stringent monitoring requirements. Earth monitoring probes aren’t all the same. Each is equipped with a different set of specific instruments, meaning that they focus on a certain range of aspects. Some are designed to monitor territory conformation and are useful for optimising arable land management, or for seeking out the most suitable locations for growing new crops. Others are specialised in seeking out water reserves and assessing the humidity of different regions, thus providing information useful for selecting new types of crops, or sounding the alarm in case of the onset of particular cases of aridity and drought, a risk factor for many plant species. Some are even capable of monitoring plant health: special radars keep track of chlorophyll leaf content. Colour can be used to determine whether plants are thriving and healthy, or suffering the consequences of soil impoverishment, disease or parasites. The same goes for fruits which in many cases can also be monitored from Space. In short, these technologies help us to assess terrain productivity, so that we intervene only when necessary, enabling a more targeted administration of fertilisers, pesticides and irrigation. In turn this reduces waste, maximises yield and minimises the consumption of energy and other resources. In addition to the aforementioned, satellite observation enables the up-close monitoring of phenomena linked to high environmental risk situations, not just for crops and rural areas. For example, data collected by satellites enables the development of increasingly precise weather models, resulting in more reliable weather forecasts. They can help us to monitor watercourses or water basins, by following the evolution of flooding, or issue warnings in advance if there is a risk of flooding. The same goes for fires, with real time updates on affected areas and progression simulations in the immediate future. Therefore all this this means heightened productivity, but also more safety for the environment and populations.